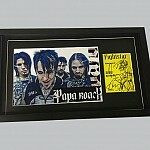 How heavy's heavy? 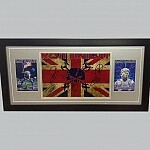 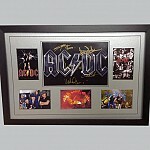 Find the signed hard rock memorabilia and heavy metal collectibles to match your tastes at Sports Legends. 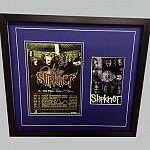 Let's not get hung up on labels. 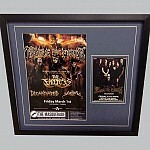 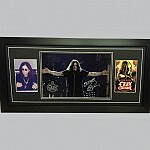 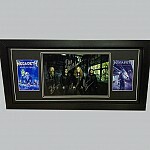 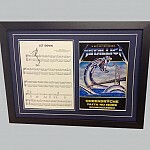 For heavy metal memorabilia read 'metal memorabilia', or death metal, thrash or goth. 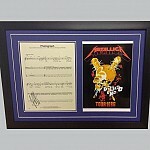 Our heavy metal memorabilia begins with the earliest pioneers of power riffs (the Deep Purples and Motorheads), includes stadium fillers such as Metallica and Iron Maiden, and features the bands that might just fill the stadia of tomorrow. 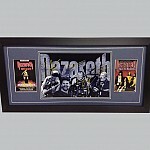 Yes, we know we'll have the metal purists spinning in their mosh pits, but if your metal tastes stop short of Judas Priest and Incubus, perhaps you'll feel more at home with Led Zeppelin, AC/DC, Placebo or Thin Lizzy. 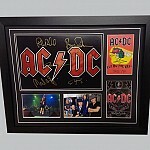 However hard you like your rock, you'll find hard rock collectibles and signed heavy metal memorabilia for you at Sports Legends. 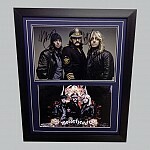 We believe your autographed movie collectibles should not only look their best, but cost less too. 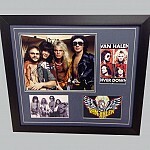 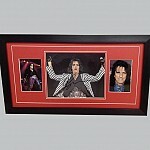 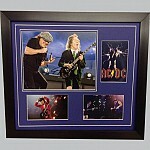 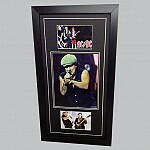 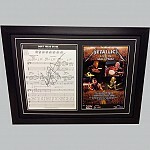 That's why we offer an expert framing service to protect your hard rock memorabilia and keep it looking its best. 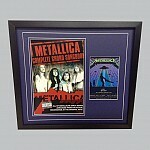 And it's why we keep our prices low, so every fan has a chance to own a piece of hard rock history. 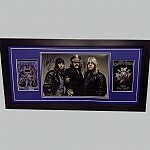 So whether you're buying to add to your collection, as a gift or as an investor, you'll find better signed heavy metal collectibles and hard rock memorabilia at Sports Legends.